The Dan River is an integral part of history in the Piedmont Region of North Carolina and Southern Virginia. During the 19th century, the Dan was essential in the development of cities and towns as “bateau” crews and small stream launches used it for commercial river transportation. The Dan is the only place left in North Carolina where remnants of the bateau systems can still be seen today. 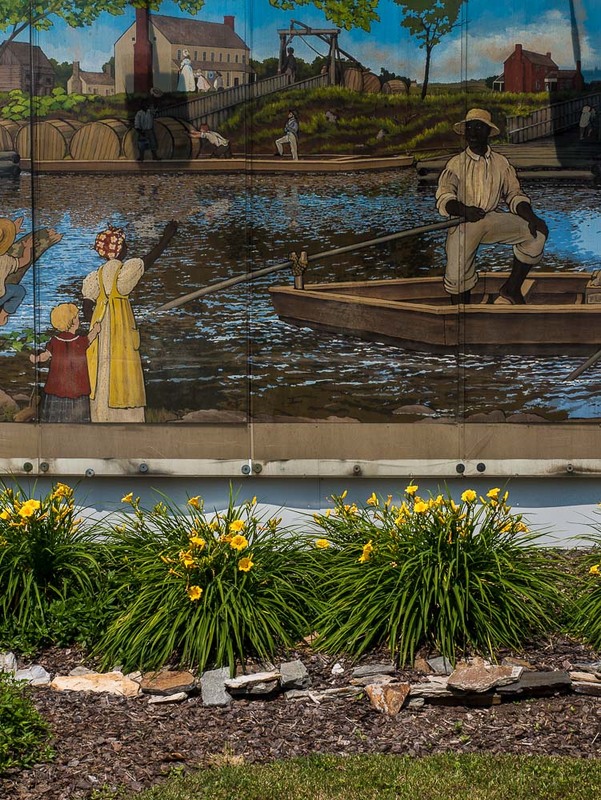 This wall mural located on one side of the Historical Society Building in the “Leaksville” portion of Eden, North Carolina, represents the legacy of those who once traveled up and down the Dan River.